Several marshals and pit crew members were injured after heavy outpour of rain caused a loss of grip during a DTM race. It resulted in three drivers, namely Lucas Auer, Bruno Spengler and Edoardo Mortara, losing control of their cars as they came into their pit box. The race at the Hungaroring track started in dry conditions but light rain started shortly after. It became heavier, forcing drivers to stop for wet-weather tyres. The first incident occurred when Auer was in the pit lane and as he turned into his box, he overshot it, going straight onto a couple of marshals who, unfortunately were hit and sustained ‘severe leg injuries’. Venturi’s Formula E driver, Edoardo Mortara also fell victim to a similar incident as he tried turning into his box but hit the pit gantry instead, which fell on his car on impact, damaging it completely. Bruno Spengler was the third car to suffer the same fate as but his issue was a bit more serious as he was unable to control his car and went into a couple of his mechanics, who landed hard on the ground. The Safety Car was brought in before race officials decided to red-flag the race to enable ambulances to attend to those who were injured in the unforeseen incidents. The DTM season has seen three races so far in the season with former F1 driver, Timo Glock leading the standings. 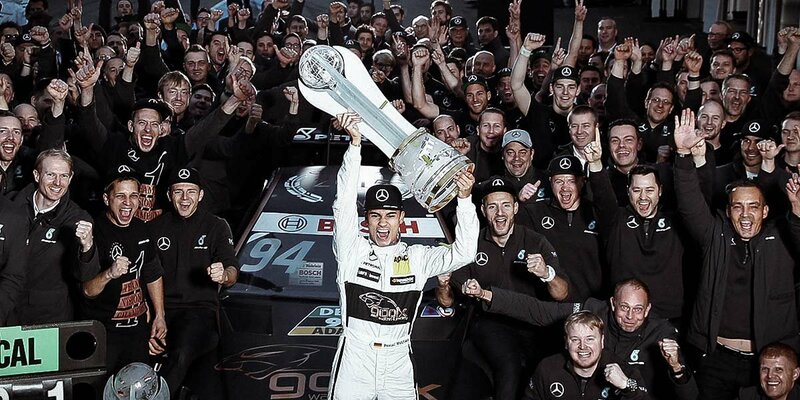 Pascal Wehrlein, who is a former DTM champion, and Paul di Resta are the other former F1 drivers who are involved in the series.